Having a proper network is vital to a lot of people who work from home. Even if you didn’t work from home, most people are online checking emails, paying bills or just surfing the web. Well, with so much wifi traffic, we at Soundwave Audio Video like to keep everything hardwired. We do like the option of wifi but, just within your home, you have your cell phone, microwave, house cordless phones, all your wireless devices and radio waves that your home has to fight through. 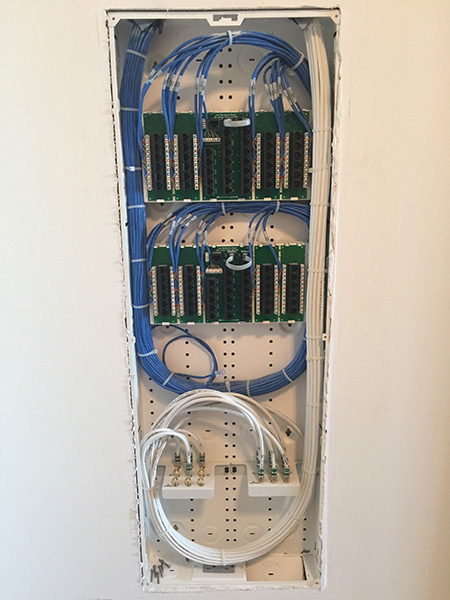 Creating a network infrastructure at your residence is what we do. Making sure all your computer and personal information is secure. Let us design a network system at your home or office. Cover your home with wifi so when you do need it, your covered. Soundwave Audio Video will make sure your computers and information is safe and secure.